Bangabandhu Sheikh Mujibur Rahman Agricultural University (BSMRAU) observed today its 19th birthday with festive mood. In this occasion an elaborated programs have been chalk out to observed the day. 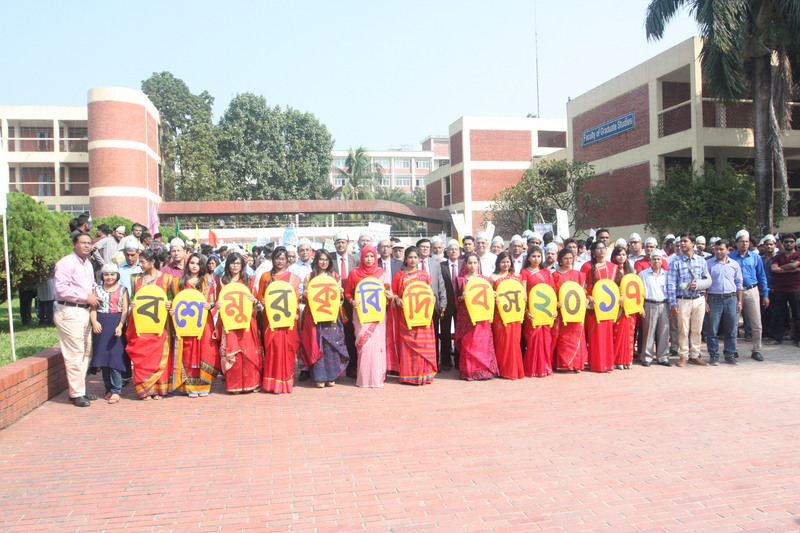 The programs were: Hoisting National flag & University flag, Ananda rally, placing floral wreath at mural of Bangabandhu, discussion & cultural program etc. Vice-Chancellor of the University Prof. Dr. Md. 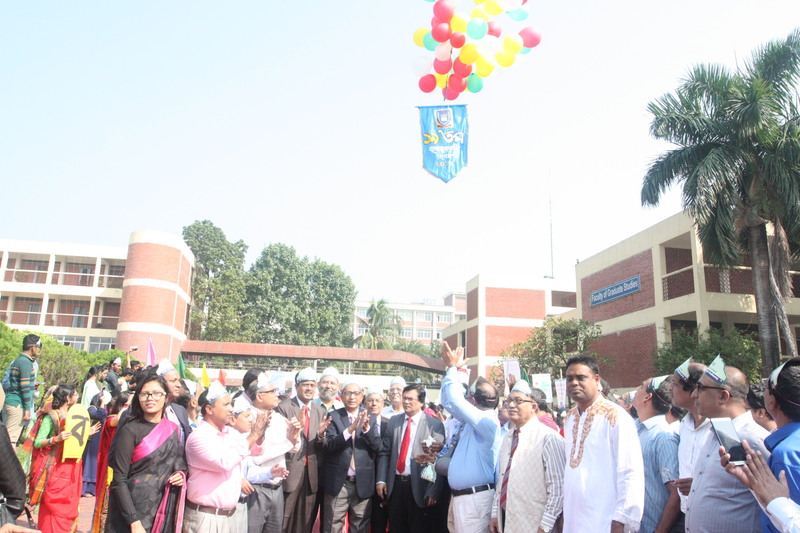 Giashuddin Miah hoisted the national flag. 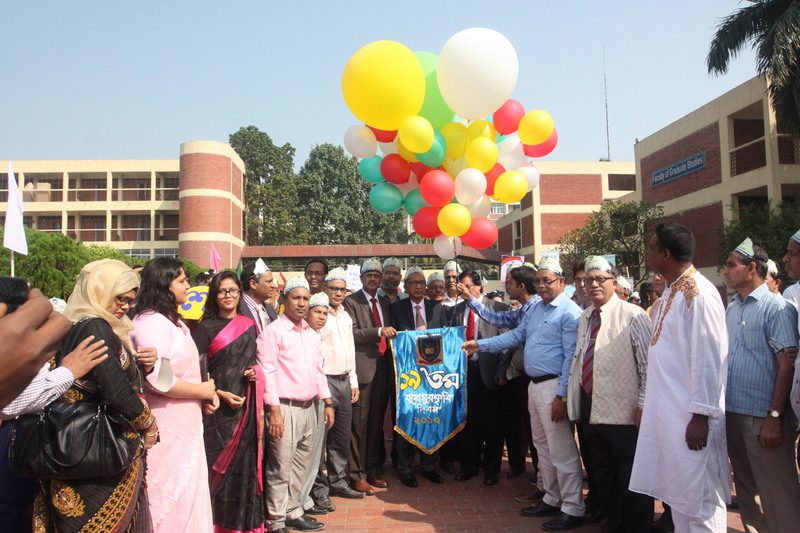 Treasurer of the University Prof. Tofayel Ahmed hoisted the University flag. A floral wreath also offered at the University’s Bangabandhu’s Mural with due respect on this occasion. 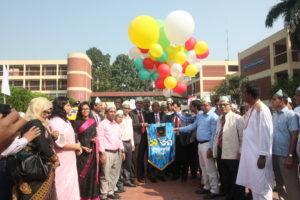 Faculty Deans, Registrar, Directors and faculty members were present at that time. 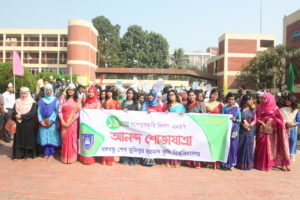 A colorful procession came out at the University campus to mark the day with participating students, teachers and employees of the University. The students, teachers and employees of the University kept the campus vibrant busting into joys and cheers. 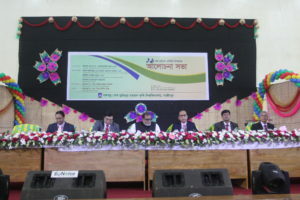 A discussion program on University day was held at the university Begum Sufia Kamal auditorium. 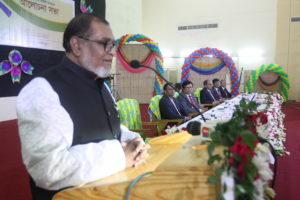 A. K. M. Mozammel Huq MP, Minister, Ministry of Liberation War Affairs was present as chief guest and delivered his speech. Prof. Dr. Md. Abdul Mannan Akanda, Dept. 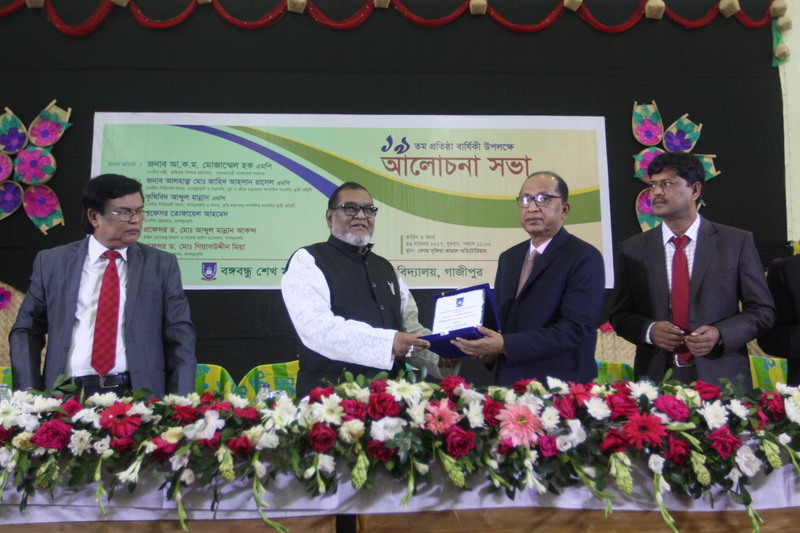 of Plant Pathology & Ex.-Vice-Chancellor of this University was present as a main speaker. Vice-Chancellor of this University Prof. Dr. Md. 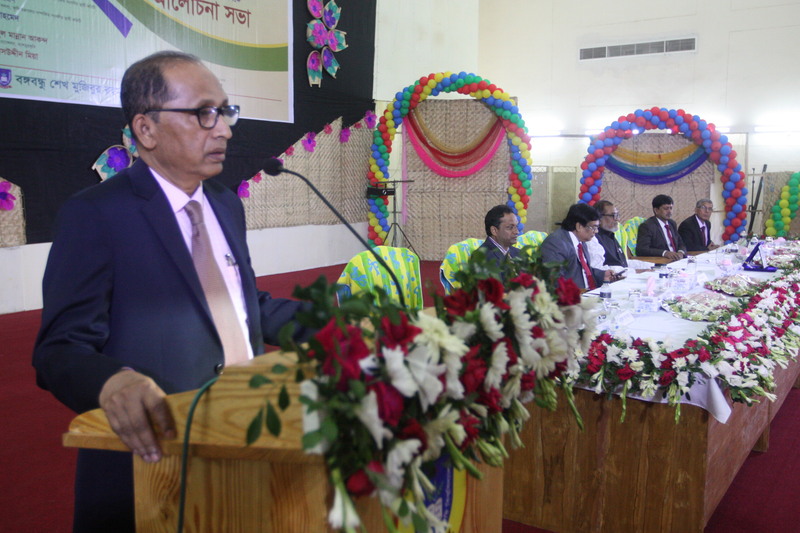 Giashuddin Miah presided over the discussion program while Treasurer of this University Prof. Tofayel Ahamed present as a special guest. 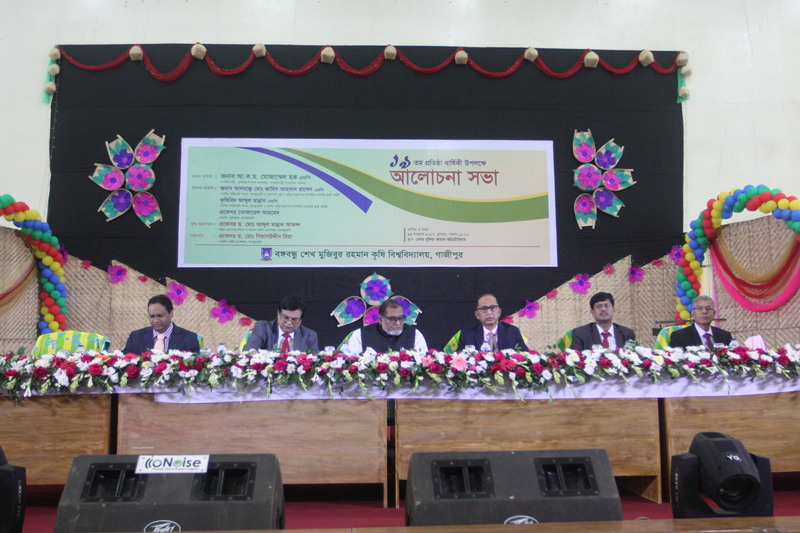 The discussion program also addressed among others Prof. Dr. A. R. M. Solaiman Dept. of Soil Science and Prof. Dr. Md. Ruhul Amin Director (Students Welfare). After Zohr prayer a special doa also offered at the central Mosque. The program concluded following a cultural evening at the University auditorium.